Prepare, wrap and upload the final version of your matching tool. (Final Deadline to be decided, usually end of August) Many system developers work hard till the final deadline is reached to improve their system. Please wrap the final version of your system as you did for a previous test version in Step 3. For the final evaluation we will use the final version that has been uploaded to the SEALS portal prior to the deadline. 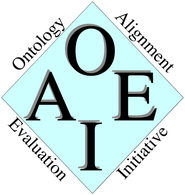 Please add a remark in the description of the version to indicate that you want to participate with this version in OAEI 2014, and inform the OAEI 2014 contact person on that.